One click way to call up the New Releases on Spirit Guides from Barnes and Noble. Amazon Synopsis: After the publication of his best-selling book 'Power Animals', many people inquired about the meaning of spirit animals that were not contained in that work. In 'Animal Spirit Guides,' Dr. Farmer provides concise, relevant details about the significance of more than 200 animals that may come to you in physical or symbolic form as guides and teachers. With each animal listed, you'll find general meanings of the visitation; practical ways that they can help you as spirit guides; and how, as your power animal, they reflect characteristics that you possess. You'll also find a "whom-to-call-on" section that will tell you which animal spirit guide to call on for any specific purpose. Amazon Synopsis: We're all spiritual beings with a spiritual support system on the Other Side that oversees and helps guide our lives from the moment we're born to the moment we leave our physical bodies and return to Spirit. Not knowing this fact is a severe handicap, as the Universe is designed to care for and nurture all its creatures and help make our life's journey easier and more successful. When we learn how to connect with our angelic guides, our lives naturally fall into a patternof ease and flow during which we grow our souls, fulfill our life's purpose, and make our time on Earth endlessly entertaining. This fascinating and inspirational book by Sonia Choquette provides all the information you need to help you connect with your spirit guides so that you can enjoy all the love, abundance, and joy you're entitled to. Amazon Synopsis: Channeling offers state-of-the-art New Age techniques for making contact with and receiving wisdom from those who have lived before. In a straightforward format, it provides an introduction to channeling and describes what some have learned from their channeling experiences. Amazon Synopsis: In this beautiful book Psychic medium Sylvia Browne gives you all the information you'll need to help you find your spirit guides. Also included is a new section 'A Day in the Life of a Spirit Guide' where Sylvia writes intimately about her own spirit guides, how they first contacted her as well as a portrayal of a typical day in the life of a spirit guide as told to Sylvia by her guide Francine. Amazon Synopsis: This book is the most comprehensive book on out-of-body travel you will ever read. Through more than 20 exercises, you will learn to safely leave your body and return unharmed from explorations of the upper astral plane and the causal, mental or etheric realms. You might even venture to the soul plan and observe how you select your future life. The difference between an out-of-body experience, a near-death experience and a conscious out-of-body experience. How to determine what dimension you are on while out-of-the body. How you can meet kindred souls in the fifth dimension. What it is like to be with your Masters and Guides and review your akashic record. How to teleport your physical body to other dimensions. How to travel to parallel universes. How to see into the future. How to learn your true karmic purpose. Amazon Synopsis: (98 pgs) Rise' Harrington was a struggling beginner decades ago and desires to make the search for spiritual connection easier for others. This book guides us through the elementary steps to begin exploring the world of Spirit safely while opening ourselves to magical adventures within life. In this book you'll learn how to: Discover the names of your guardian angel and spirit guide. Incorporate angelic assistance into your daily activities. Develop your intuition and recognize the signs and suggestions of your spirit guides. Use a pendulum to confirm your insights and hunches. Use your dreams as a life course correction tool. Learn to meditate and achieve liberation through forgiveness. Whether you're searching for purpose, love or forgiveness this book offers a brilliant guiding light for your journey to soul-self discovery. Amazon Synopsis: (30 pgs) Get ready to discover your spirit guide and learn wonderful things about how these entities can help you understand the divine world and how you can connect with your own spirit guide even without a fully developed psychic ability. Learn what type of psychic gift you have. Are you Clair cognizant, clairvoyant, clairsentient, or do you have the gift of clairaudience? This book is all about the world of spirit guides and how humans can interact with them using their own abilities and psychic powers. Once you allow your guide to become part of your existence it will completely change your perspective on life. Being guided into the right direction towards a path of abundance and happiness - the path you want. Your guides are here to help you, so find out how to connect with them today. Meet your angels and spirit guides. Each of us can benefit from contact with the spiritual realm, and we often do so without realizing it. Spirit beings serve many roles and take many forms of expression within our lives. They inspire creativity and insight, help open us to abundance, protect us, and serve as our companions. In How To Meet and Work with Spirit Guides, popular author Ted Andrews teaches you simple and effective techniques for establishing rapport with your angels and guides. Explore meditation, divination, fragrance, crystals, and other ways to connect with spirit helpers, and enjoy the many gifts and learning opportunities gained by working with: guardian angels, spirit guides, loved ones in spirit, animal totems, nature spirits, fairies. Amazon Synopsis: Experience profound ways to achieve spiritual mastery in just five to ten minutes a day—whether you are a beginner or have been meditating for awhile. This practical guide has fourteen meditations, designed to meet numerous types of spirit guides, including angels and power animals. It teaches practical methods for interacting with guides and how to experience spiritual inner journeys with them. There are suggestions for good questions to ask of the guides that provide quality answers and insightful information. By practicing each meditation several times, it will become effortless to call on any guide “on demand.” A guide will appear instantly when spiritual help is wanted or needed. Besides learning brand new ways to communicate with spirit guides, angels and power animals that are already in one’s awareness, meditations include ways to call upon guides for any project or goal, such as writing, healing, learning a new skill, and so on. Discover new spirit guides: Some of the meditations encourage guides to appear that one may never have thought about before, such as meeting with Higher Self, a money guide, a healing guide, and more! A bonus meditation: "Merge With a Power Animal" is a profound way to obtain an animal’s power through the body’s kinesthetic (feeling) system. One can then travel with the power animal as if seeing through its eyes. Some of the meditations include shamanic methods of healing, such as soul rescue (soul retrieval), which helps one travel into the subconscious, find a past traumatic memory and then rescue the younger self trapped within it. For those working on self-growth, abundance, creativity and/or healing, a unique meditation asks a spirit guide to lead them directly to a future self who has already become what they desire to be, or who has already achieved a goal. The future self will communicate and provide the steps necessary to achieve this goal. The future self teaches the present self how to become this new self. This meditation includes merging with the future self to achieve the feeling of mastery. Amazon Synopsis: Who are your Spirit Guides? Keys to the Spirit World does not only cover "who" your Spirit Guides are, but you will also learn "why" you have Spirit Guides. What do Spirit Guides look like? How do Spirit Guides communicate? What is it like to receive communications from spirits or Spirit Guides? Not only does "Keys to the Spirit World" teach you what roles Spirit Guides play in your own life, but it also teaches you how to communicate with them yourself. You will learn how to develop your own communication system with spirits and Spirit Guides, as well as develop an understanding of what they are trying to communicate with you right now! Spirit Guides are always trying to communicate with you; many times you just do not have a complete understanding of how this communication system works. There are many forms of spirit communication and it is important for you to find out what particular system works best for you. This will allow you to communicate with your Spirit Guides most effectively. Amazon Synopsis: This book is a definitive, inspirational, and easy-to-use guide to the art of channeling. You can use these methods to open to channel a guide or your higher self. Opening to Channel includes practical hands-on instruction in how to know if you are ready; how to attract a high-level guide, go into a channeling state, channel for friends or yourself, use channeling to expand your consciousness, and open to the higher dimensions. Orin and DaBen, two wise and gentle spirit guides, prepare you for channeling and let you know what to expect. You will learn how to recognize and attract a high-level guide, as well as how to recognize and reject entities that are less evolved. You will discover more about how guides communicate with you and your role as a receiver. You will be guided through your first meeting with a guide, explore how to verbally channel a guide, and be given questions to ask your guide as well as information on what to expect when you first start verbally channeling. Instructions are provided for giving yourself a reading as well giving readings to others. You will learn more about how to look into your future with your guide. As you read you will learn how to develop and strengthen your channeling. Guidance is provided on how often to channel, how to receive specific information, and other ways guides can work through you such as through art or music. Various questions people frequently ask are addressed, such as; can you channel the same guide as others, lose your channeling ability, or channel when you are sick? You will also discover how to deal with doubts that your channeling is real. Opening to Channel is a breakthrough book. Channeling your guide could be the key to accelerating your spiritual growth and opening the doorway to enlightenment. Amazon Synopsis: Includes a do-it-yourself hypnosis CD. Contacting spirit guides is as old as civilization itself. Shamans dating back to at least 50,000 B.C. ritualistically contacted nonphysical entities. The Mystery Schools of Ancient Egypt, Greece, Persia, Rome, and India also dealt with contacting spirit guides. Every major religion acknowledges the reality of discarnate entities or spirits, whether they are called saints, angels, the Holy Spirit, and so on. One of the purposes of this book is to demystify this process. The media's depiction of spirit contact has led to the false assumption that anyone who establishes this contact must be in great danger. In reality, this communication is natural, relatively simple and a wonderful growth experience. Spirit communication removes the fear of death and bereavement, and results in a form of spiritual empowerment. Develop our intuition and other psychic abilities. Increase our ability to love yourself and others. Become more aware of the workings of the universe. Establish better contact with your own Masters and Guides and Higher Self to facilitate your own spiritual evolution. Protect us from negative entities and/or other forces in the universe. Access the wisdom of the ancients. Establish and maintain your own physical, mental, emotional, and spiritual health. Overcome bad habits and fears. Eliminate the fear of death. Master the art of out-of-body experiences. Learn our true karmic purpose. Amazon Synopsis: The message of this popular book, in its seventeenth printing since first publication in 1985, is that we are not alone. We are surrounded at all times by love and support. The aim of author Iris Belhayes, who in the year 2000 passed into the world of spirit, was and is to help readers find their way back "home" to the love which is there whenever we choose to experience it. In this book, Iris shared what she learned from Enid, a spirit guide who communicated with her over a period of many years. Enid's explanation of the roles of spirit guides and spirit families in our lives is one of hope, of joy and of reassurance. In this exciting view of the cosmos, all of us seek experience above all-and all experiences contribute to the world. There are no monsters, no demons, no evil creatures, except those we conceptualize and create in our own minds and imaginations. This inspirational and uplifting book can be read on two levels. One level assumes spirit guides are actual entities from the other side. The other level considers guides our own inner wisdom. Like the many-layered universe she discusses, the approach of Iris Belhayes was very rich and can be viewed from several perspectives. But all viewpoints communicated a vision that is full of hope, love and affirmation. Iris and Enid explain how each of use organizes our life according to a preset game plan that we freely choose! Our spirit guides and spirit families provide support and reassurance in helping us live out that game plan and have the many varied experiences we seek. Besides offering a sense of meaning and purpose, the author presents techniques for getting in touch with your own spirit guides. Her message is one of strength and power. She encourages readers to go beyond what they think they see and experience physically to what she calls Real Reality, which is multidimensional. She discusses some of the other levels of reality and other beings which exist, and offers instructions for how we can go beyond our "physical universe trance states" to even higher levels of consciousness and understanding. If you are ready to expand your boundaries of what is possible, this is the book for you! Amazon Synopsis: They come to our aid when we least expect it, and they disappear as soon as their work is done. Invisible helpers are available to all of us. In fact, we all regularly receive messages from our guardian angels and spirit guides, but usually fail to recognize them. This book will help you to realize when this occurs. And when you carry out the exercises provided, you will be able to communicate freely with both your guardian angels and spirit guides. Amazon Description: On this uniquely forthright and captivating CD program - recorded live - psychic/bestselling author Sylvia Browne addresses the fascinating concepts surrounding angels and spirit guides. Every religion has angels, Sylvia tells us. 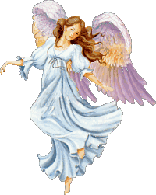 Different from spirit guides, angels are spiritual messengers who are available to help us if we will simply ask for their assistance. Sylvia goes on to discuss the properties of angels; the true nature of God, good, evil, and the Other Side; and explains how we can overcome guilt, accept ourselves, and thereby understand our own particular 'contract.' In the second half of the program, Sylvia leads a meditation that invokes the presence of our angels and individual spirit guides, and invites them to communicate with us. We feel their protection, receive their healing, and with Sylvia's encouragement, learn how to ask them for the help we desire. Amazon Description: In this unique CD program, world-renowned psychic Sylvia Browne dispels the popular myths about angels, spirit guides, and ghosts. With her trademark candor, she explains that you 'can' communicate with your angels and guides, and that they're here to help you along your journey. In addition, she covers topics from forgiveness to reincarnation, shares some of her personal experiences with these celestial beings, and provides helpful tips on effective prayer. Sylvia also imparts methods to protect yourself from a psychic attack and determine whether your loved ones are sending you messages from the Other Side. Then, using a healing meditation, she shows you how you can unite with your angels and spirit guides whenever you choose to do so. In closing, Sylvia uses her abilities to answer audience questions and shed light on what 'really' happens when we leave this plane of existence.